This is a baby hippo names George — and instead of being scared of the crocodiles who live near him on the Turgwe Hippo Trust in Zimbabwe, he wants to play with them. "George was most definitely playing," explains Karen Paolillo of the Turgwe Hippo Trust , who captured the footage. "He does that often with crocs it is a game just like a puppy or a kitten." 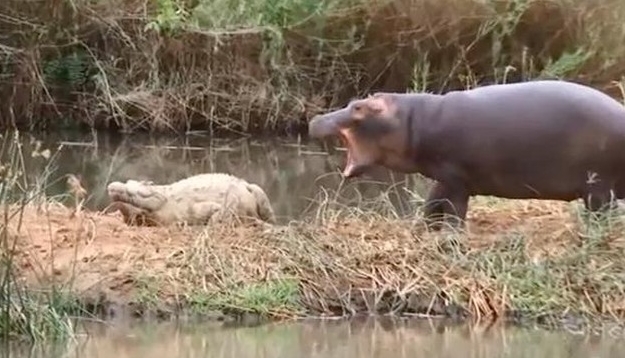 Responses to "Amazing Friendship Between Baby Hippo And Crocodile "